Trump Pal Sold Millions in Steel-Related Stock Days Before Tariff NewsCoincidence? Commerce Department Offers Trump Ammunition for His Trade WarTrump has until April 11 to decide whether to impose high tariffs on aluminum and steel. It’s a subject that divides his party and administration. P.A. Special Election Could Be the Only Excuse Trump Needs to Start a Trade WarTrump will have to make a decision soon on possible tariffs on steel and aluminum, which most Republicans oppose. 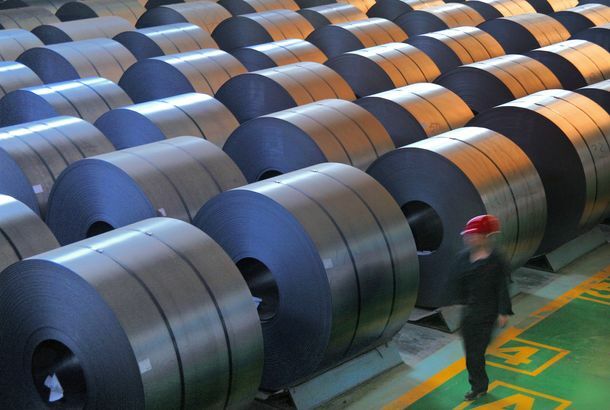 Trump Planning Steel Tariffs To the Horror of Most of His CabinetReturning to one of the “America First” preoccupations of his campaign, Trump is on the brink of imposing steel tariffs on China and other countries.